It happens to everyone when you spend an entire week in anticipation of your day off and then when it is finally at your door, you have no idea what to do with it. We tend to get our hopes up high and then we just can’t decide what exactly to do when the day comes. So you start to wonder how to enjoy a day off and how to get the most from it. Day to fix a relationship. So, if you are intrigued what all that means we are more than glad to guide you through the awesome ways to spend your days off. Here is our personal list of top 5 things to do on your day off. We encourage you to spend a day off by building or strengthening your relations with the city you live in. It even doesn’t matter if it’s the city you grew up or moved to a few years ago. It feels like home only when you allow the city to be the one. So start your day off with a nice walk, visit memorable places on the way. Remember, when was the last time you had a nice long walk for the sake of walking? After you are done with that you might look for things city has to offer you today. Find out if there any events to be held in the town square. Maybe there is a crafts fair or a handmade market? If it’s winter time you can enjoy skating on the ice rink or, if the weather is okay, maybe there is an open air movie night. Look up on the internet what the city life has to offer you today and go for it! If you want to find a fun way to spend a few hours on your day off, escape games are for you. These games are great for everyone despite the age or occupation. This sort of fun activity is perfect for those who are looking for new interesting ways to spend some free time. So if you were wondering what to do on your day off you had just found an answer. If you are having your day off work then you have all the blessings from us to try playing and beating the escape rooms. That was never easy but somehow we think you will succeed. Oh, and don’t forget to bring your friends or family as well. Escape rooms are one of the best team building games for you to try. What if instead of questioning yourself where to go on a day off you should concentrate on how to spend it? We believe, and numerous polls confirm it, that it is truly crucial to spend less time on our phones and other devices. We need to go offline time to time and live a real life outside of the internet. Sometimes we get more tired from checking all the social media than from working 2 or 3 hours. Internet addiction leads to no good anyway. If there is anything truly urgent you will find out, the rest may wait until tomorrow. But the peace and comfort you get after overcoming tech addiction are irreplaceable. You will have to find out new ways to “kill time" and to spend more quality time with your own thoughts. There are so many things to do when off work but the best of all would be switching your mind off from work. Quite often, even when we are off work, we still keep returning to it in our thoughts. Did I send that file? Should I do that and this on Monday? That’s getting annoying after a while. So the best way to get rid of those thoughts is to get busy with things you enjoy doing. Your hobbies! It is that simple. Do you like painting? Get your favorite pencils or paints and draw as long as you have energy and inspiration. Do you like cooking? Make a dinner for your close ones! You can try that recipe you found years ago but never tried. Or find a quiet place at your home and just write a journal entry, if that’s what you feel like doing. Pick a book from your home library and spend an entire day reading. It is truly up to you and your hobby. Our last tip on how to enjoy your day off might seem obvious but trust us, it is the most important among all of the ways. It happens so often that we start taking our close ones for granted. With our busy lives, we start to forget how nice it can be – to spend some free time only with the people we love. This day you might not go for anything big. Just dedicate your time to absolutely silly things like watching old cartoons or maybe DIY-stuff. 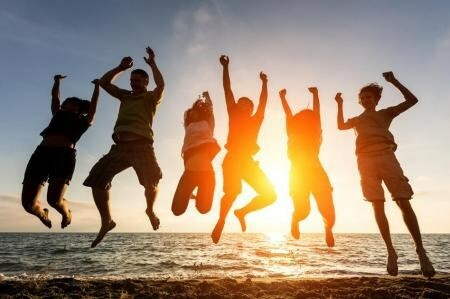 You will feel that spending free time doing basically “nothing" together can be extremely fun! Your close friends or your family deserve to have some good quality time with you. So let them! I am Lech Dvorak a Manager at Escape Hour. I am trying to combine my skills and professional background to bring higher-level perspective into my work. Currently, I am sharing my experience and vision on the hot topics from the world of recreation.